Cassini Island, north Kimberley, Western Australia. 25 May 2011. John Huisman. © John Huisman (j.huisman@murdoch.edu.au). KwaZulu-Natal. Heroen Verbruggen. © Heroen Verbruggen (heroen.verbruggen@gmail.com). Published in: Itono, H. & Tanaka, T. (1973). 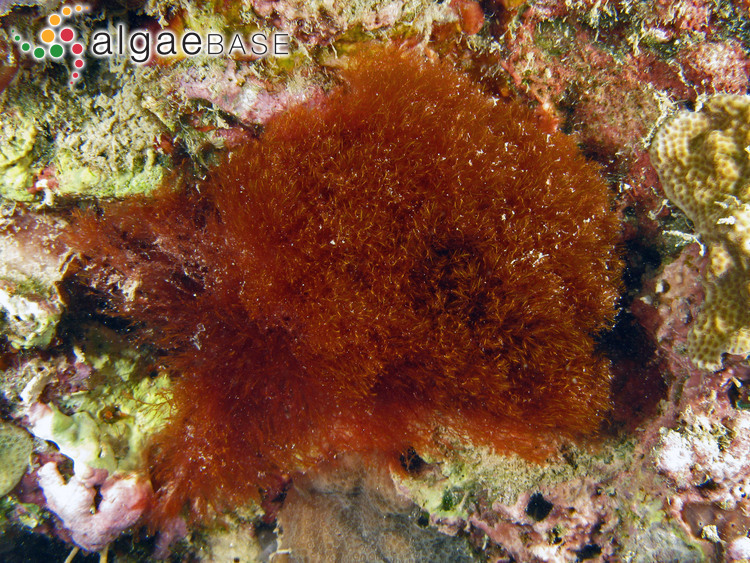 Balliella, a new genus of Ceramiaceae (Rhodophyta). Botanical Magazine, Tokyo 86: 241-252, 23 figs. This is the type species (holotype) of the genus Balliella. Type locality: "Mage Island. Growing on the fronds of non-articulated corallinaceous algae at the depth of about 20-40 m. Collected on April 21, 1971. no. 19712." [Southern Japan] (Itono 1971: 212). Holotype: HI 19712 (Yoshida 1998: 880). Notes: Athanasiadis (1996: 42) confirms HI 196913 as the holotype. Athanasiadis, A. (1996). 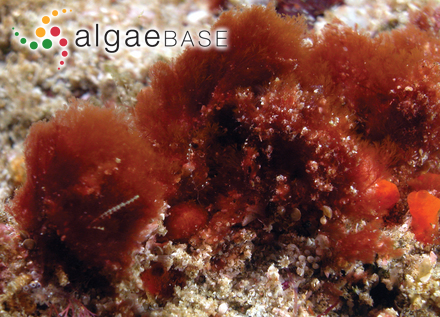 Morphology and classification of the Ceramioideae (Rhodophyta) based on phylogenetic principles. Opera Botanica 127: 1-221. Lin, S.-M. (2002). 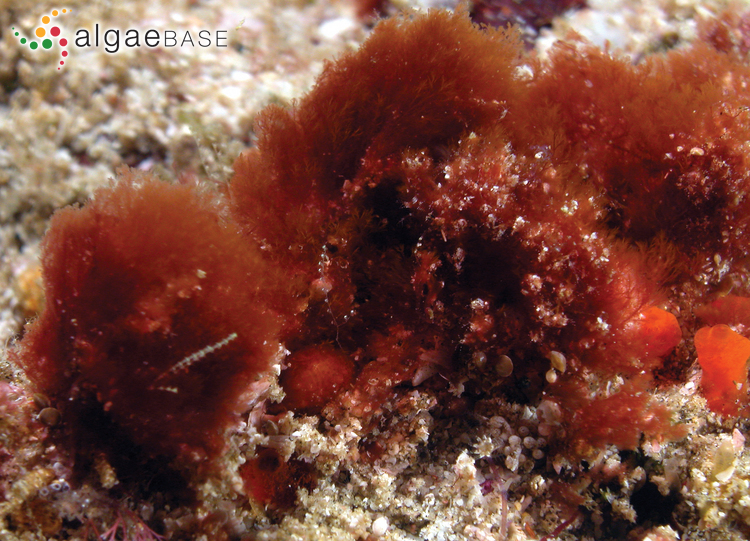 Some marine red algae (Rhodophyta) new to Taiwan, including Schizoseris bombayensis (Boergesen) comb. nov. Philippine Scientist 39: 36-47. Accesses: This record has been accessed by users 1094 times since it was created.